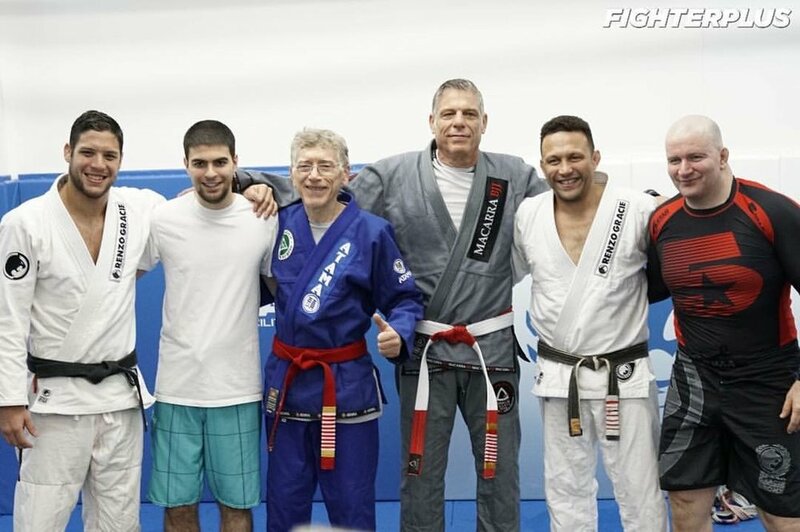 Márcio "Macarrão" Stambowsky is an 8th degree red & white belt in Gracie Jiu-Jitsu, the highest ranking Brazilian Jiu-Jitsu master in the Northeastern United States, and one of the "Famous Five" to have been promoted to black belt by Rolls Gracie. Stambowsky, who was one of the top Brazilian competitors in the 1980s, is also the father of professional Bellator MMA fighter Neiman Gracie Stambowsky. During the formative years of Brazilian Jiu-Jitsu, Stambowsky was notable for revolutionizing the closed guard, triangles, and leglock tactics. He was named by MMA hall-of-famer Rickson Gracie as one of the original Brazilian competitors to popularize the concept of the now iconic triangle choke. Acclaimed as an influential mentor and coach, he has been credited by world champion Renzo Gracie for practicing "one of the most beautiful jiu-jitsu [styles] ever seen." In 1980, Stambowsky was selected to join a group of top fighters that the Brazilian government planned to send to the Olympic Games in Moscow and the Pan American Games in the United States. Although a dispute involving sponsors prevented the team from traveling to the Olympics, Stambowsky went on to win two gold medals in national championship competitions in 1981 and 1985 and one bronze medal in a world championship competition, representing Brazil among 37 countries at the 1985 Maccabiah Games in Israel. Keeping close ties with the Gracies, Stambowsky eventually married Carla Gracie, daughter of Robson Gracie. In addition to his son Neiman, he has one daughter, Deborah Gracie Stambowsky, who together with Kyra Gracie is one of only two women in the Gracie family to have attained the rank of black belt. Stambowsky moved his family from Brazil to the United States in 2007. He is the founder of Gracie Sports USA and Team Macarra BJJ, based in Norwalk, Connecticut.